People tend to lend negative connotations to the word “classic” as it often evokes associations with something old and outdated. 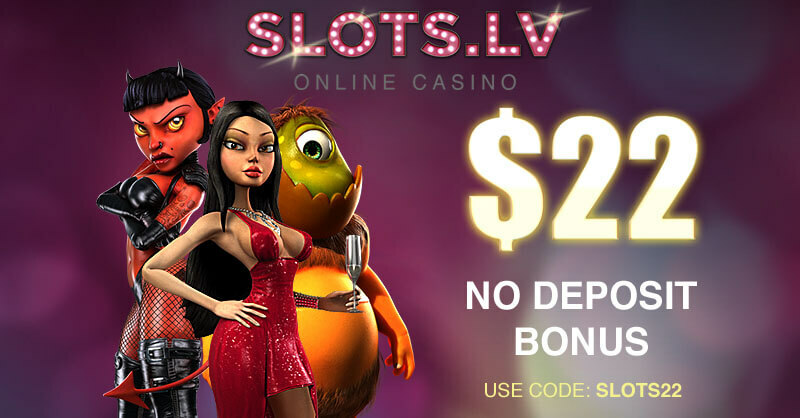 But when it comes to classic online slots, such negative associations no longer apply. Sure, the rapid advance in technologies has caused many gambling software developers to introduce more advanced and visually appealing video slots that boast superb graphics, exciting animations and an impressive number of paylines. However, there are still many slot fans who prefer to place their bets on the good old classics. The history of slots began at the end of the nineteenth century when Charles Fey, a young car mechanic from San Francisco, invented the Liberty Bell – the prototype of all slots, old and new. Several years later, manufacturer Henry Mills made a few improvements on Fey’s invention and introduced to the public the first 3-reel slots as we have come to know them today. Instantly recognisable, they featured fruits like plums, lemons, and cherries as symbols and had a single payline, stretched horizontally across the reels. Classic 3-reel slots have come a long way since the introduction of the Liberty Bell in 1895 and Mill’s “fruit” machines at the turn of the twentieth century. Today, 3-reel slots constitute an essential part of the portfolios of all established online casino operators in the industry. What is more, the symbols are no longer restricted to fruits. On the contrary, you will be able to find 3-reel online slots boasting a wide range of themes and symbols as well as many cool features. As their name itself suggests, classic slots consist only of three reels. The term “reels” stands for the number of the vertical sections that turn whenever the player presses the Spin button on the screen. Fewer reels are equal to fewer winning combinations or paylines. As a matter of fact, some 3-reel slots still have only one payline that appears across the middle of the screen. However, all reputable software suppliers cater to the needs of traditionalists and offer 3-reel slots that include three, five or more paylines. 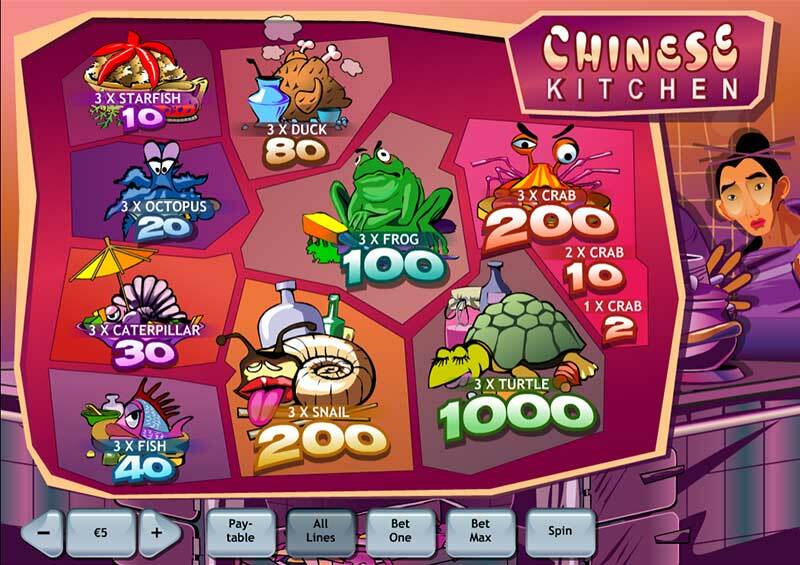 Playtech, for example, has even released a 3-reel slot, called Chinese Kitchen, which features a total of eleven winning combinations across all three reels as the ‘crab’ symbol can be stand alone or a combination of 2 or 3. Players who lack any previous experience on the slots should consider the fact that 3-reel titles typically offer a decidedly smaller number of betting options than their modern, multi-payline cousins. Players get to choose from different coin values, similarly to the other slots. Coin denominations typically range between £0.01 and £100. But it all depends on which 3-reel slot you play. One common feature most 3-reel slots share is that they lack in detailed graphics and animations. On the contrary, the design of the games is typically rather clean and simplified which works to the advantage of inexperienced slot players. Many 3-reel slots boast some useful, extra features. For instance, on some games, wild symbols have been included which not only help complete a winning combination but act as multiplier symbols. A small group of classic online slots even include bonus game rounds, while others boast substantial progressive jackpots. However, in order to become eligible for the huge prize, players are required to bet the maximum coin value. There is a common misconception that old-school 3-reels do not have very high payouts. On the contrary, while 3-reels sometimes do not pay as often as more advanced slots, their payouts tend to be bigger. 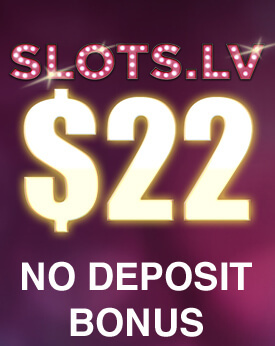 One of the biggest advantages of classic online slots results from their very simplicity. Their design is pretty straightforward and easy to comprehend by less experienced players. Also, the number of betting options as was mentioned is more limited since 3-reel slots usually feature between one and eight paylines. This renders them suitable for players who have a tighter budget at their disposal as they will not be expected to bet on that many paylines. Another advantage of opting for the classics is that when 3-reels do pay, their payouts tend to be bigger, at least most of the time. On the downside, the entertainment value classic online slots offer is generally smaller than that of more advanced video slots. The design is simplified which many players deem a disadvantage. You are unlikely to find any realistic, 3D graphics, let alone animations. Despite the fact modern 3D slots overshadow their classic cousins in terms of visual appeal and features, 3-reel slots still enjoy a great popularity among experienced slot players. The number of 3-reel titles, available online, is quite impressive. To assist slot novices in making their choice, we have compiled a short list of five classic online slots, boasting some of the highest Return to Player percentages or RTP. 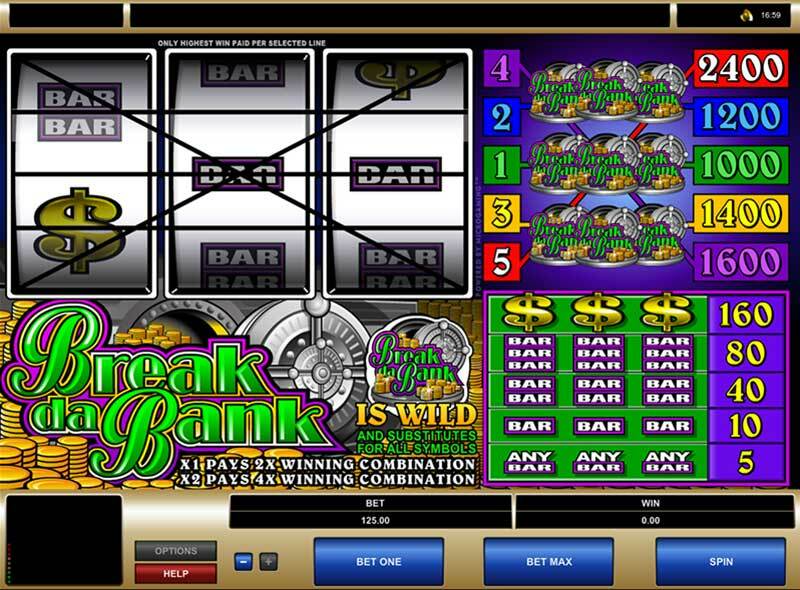 Courtesy of industry frontrunner Microgaming, Break Da Bank is a classic, 3-reel slot which has a total of five paylines. The reels on this game feature symbols like gold coins, vaults, bars, and dollar signs. Wagers at this game range between £5 and £125, so the game is not that suitable for players with tighter budgets. To initiate the game, the players simply need to click on the Spin button, while the Bet Max functionality sets the reels in motion at the highest wager possible, £125. The Break Da Bank symbol functions as a wild multiplier. It will not only help you complete a winning combination, but will multiply your winnings by 4x when you do. The maximum payout on this game amounts to 2,400 coins. The RTP of Microgaming’s Break Da Bank classic slot stands at 95.75%. 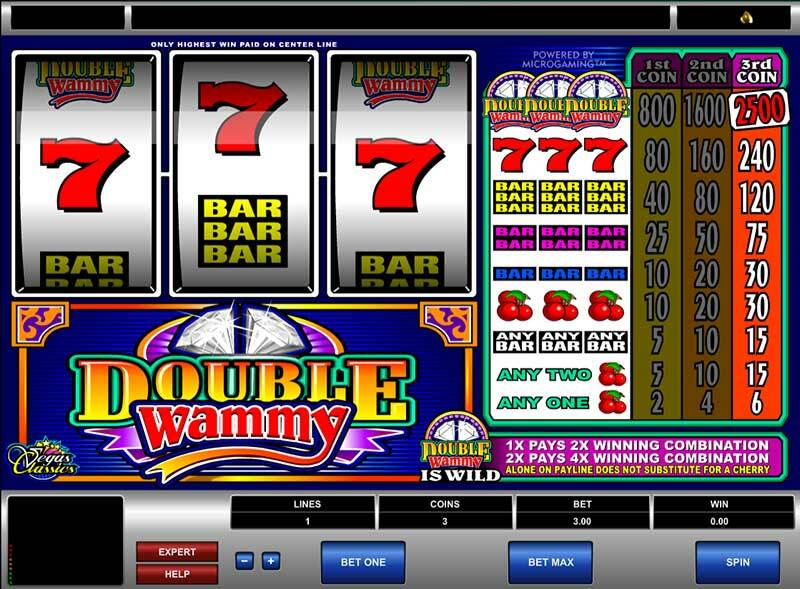 Double Wammy is yet another classic slot which was introduced by developer Microgaming. The design of the game is obviously inspired by the traditional, old-school slot machines in Las Vegas casinos. The game employs various classic symbols like cherries, lucky sevens, and bars. Double Wammy is the epitome of a classic, 3-reel slot as it has only a single, solitary payline with a maximum wager amount of three coins. On that note, it is worth mentioning bets range between £0.25 and £5 per coin on this game which renders it suitable for more risk-averse players. The maximum amount you can win is set at 2,500 coins but you are required to get three Double Wammy symbols on the three reels. The Double Wammy symbols function as wild multipliers here. The second biggest prize can be won whenever players get three lucky sevens on the three reels. The RTP of Double Wammy is estimated to be 96.23%. Couch Potato ranks among the most popular classic slot games, released by software developer Microgaming. The game features a sprouting spud lying on a couch and offers a single payline, positioned in the centre of the three reels. 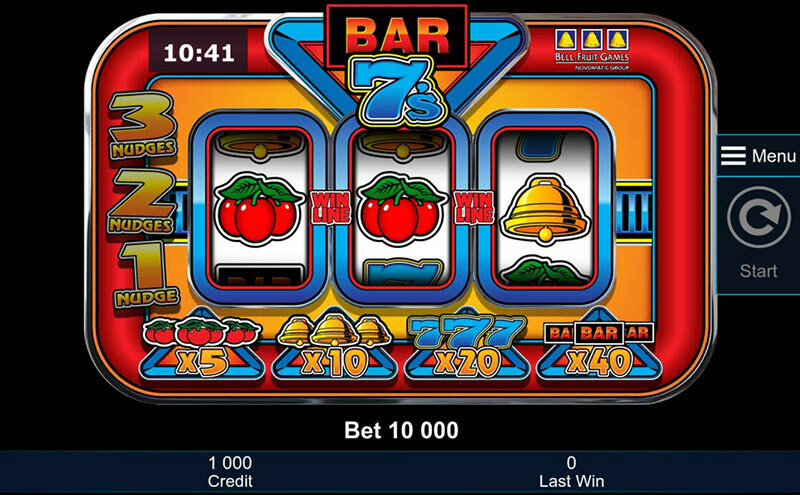 The slot utilises classic symbols such as cherries, single, double and triple bars, and lucky sevens. Yet, it is the Couch Potato symbol that all fans of traditional slots covet as it functions as a wild multiplier. The Couch Potato helps complete a winning combination and multiplies players’ winning up to five times. Players, who are lucky enough to get two Couch potato symbols on the reels, will have their winnings multiplied 25 times. Three Couch Potato symbols can potentially reward players with the biggest win in the game of up to 15,000 coins. Classic slot fans can opt for playing with up to three coins per spin, with betting limits ranging between £0.25 and £15.00. The game has become somewhat of a classic and is even available in a mobile format, for those, who wish to enjoy it while on the move. 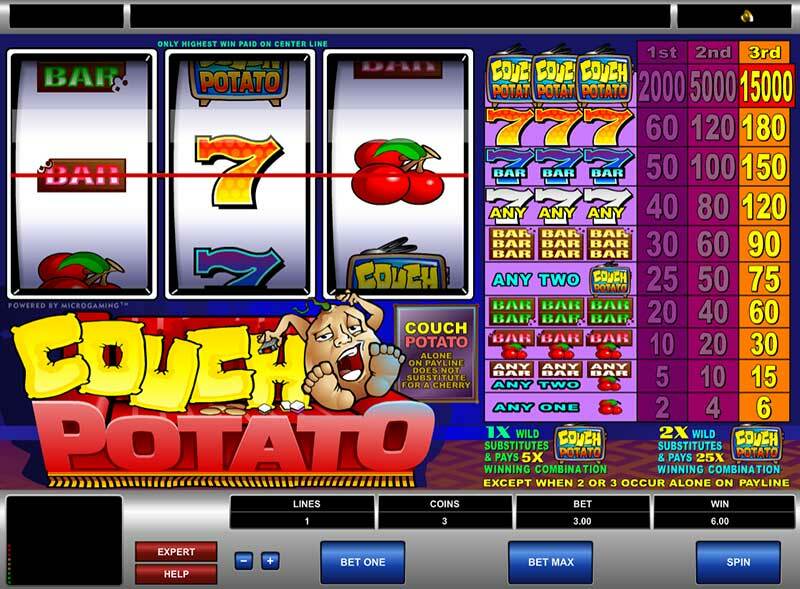 Couch Potato is a favourite among slot fans because it offers an RTP of 97.43%. Courtesy of another leading software supplier in the industry, Playtech, Goblin’s Cave is a slot inspired by the popular creatures from European folklore that are infamous for their reputation to hoard gold and jewellery. The game features three reels, with three paylines. Goblin’s Cave is more advanced in terms of graphics and sound effects. As soon as the game loads, the player will see an old goblin with a droopy face, worn out slippers and a pair of reading glasses that is anything but scary. It is this creature that “spins” the reels manually, so to speak. The game features symbols such as different jewelled rings, ruby jewels, crowns, lanterns, goblin coins and teapots. As a matter of fact, apart from the enhanced graphics, Goblin’s Cave is a game which offers an interesting twist, thanks to intriguing features like multipliers and a Red Ruby wild symbol. 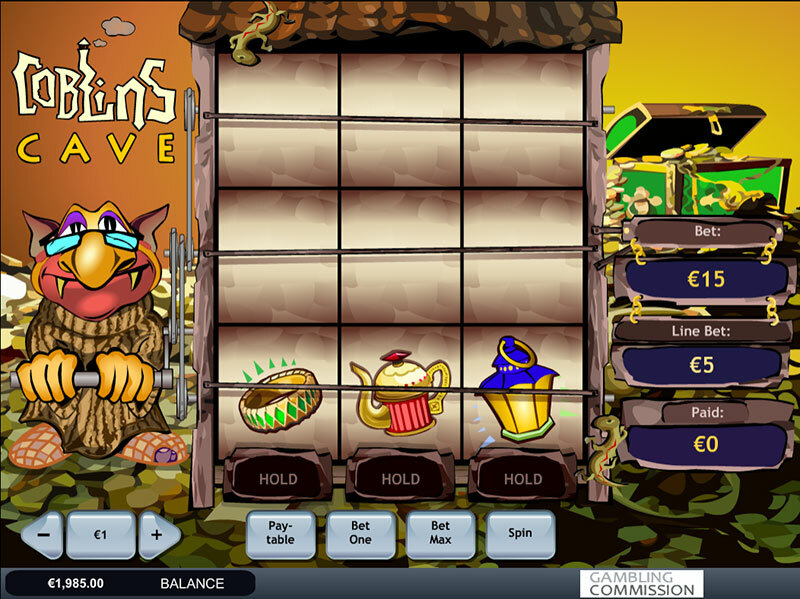 Players can increase their chances of winning by using the Hold feature to hold symbols on the reels for their second spin. Whenever the player clicks on the Spin button, only the lowest horizontal reel is spun. If players hit a winning combination there, they get to spin the reels again to try and fill the remaining two paylines with the same winning combination. If the first spin has not resulted in a winning combination, players can select to hold some of the symbols on the lowest reel to improve their chances of winning on their second spin. Minimum and maximum coin values in this game range between £0.01 and £5. The maximum amount you can bet per spin is set at £75. Those, who are lucky enough to get three red rubies, will win the highest prize in the game. Three lantern symbols on the reels unlock a bonus game. The expected RTP for the Goblin’s Cave slot stands at 99.32%. 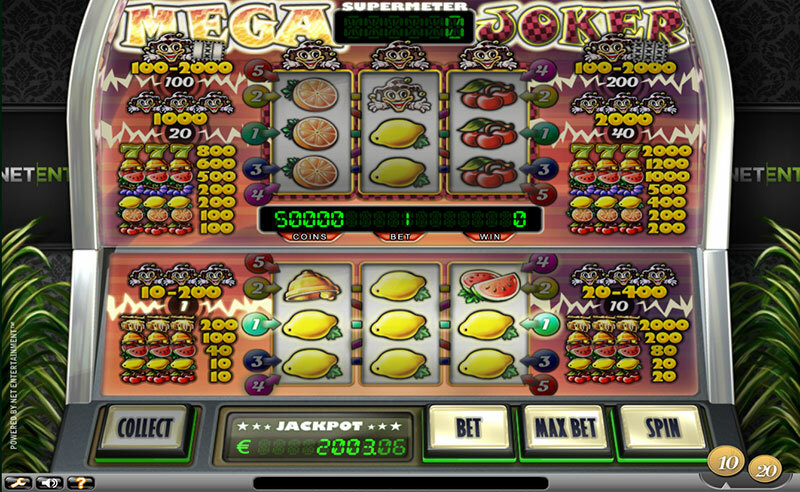 Developed by software provider NetEnt, Mega Joker is a traditional fruit-themed, classic slot with three reels and five paylines. The game utilises classic symbols, such as lucky sevens, cherries, plums, oranges, lemons and watermelons. Players get to choose to bet one to ten coins per spin, with coin values ranging between £0.10 and £1.00. 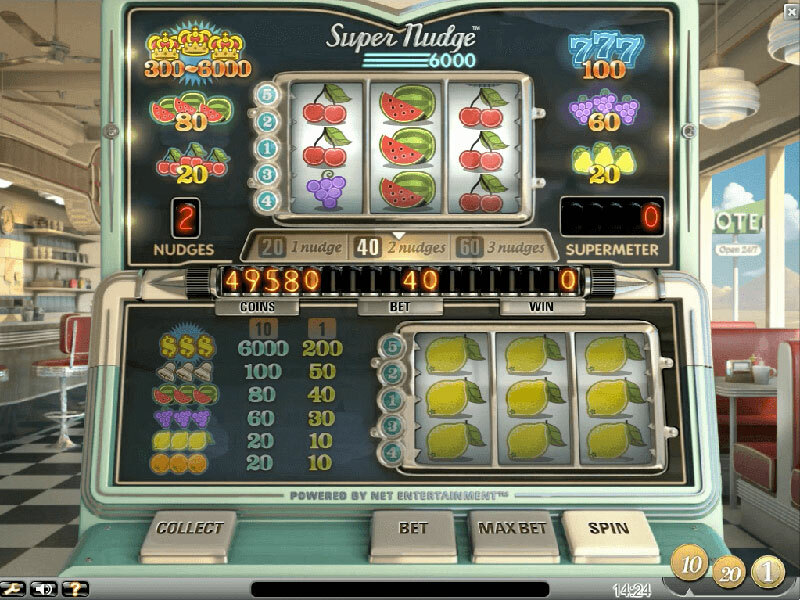 Whenever players win a spin in base mode at the maximum bet of ten coins on all five paylines, they are given the chance to either collect their winnings or play in Supermeter mode. This feature allows players to place bigger bets of 20, 40, 100, or even 200 coins per spin. The maximum amount players can win in Supermeter mode stands at 2,000 coins. In addition, Mega Joker has a progressive jackpot attached to it, providing slot fans with the opportunity to win more lucrative prizes. As 3% of each bet goes towards the progressive jackpot, the prize tends to escalate rather quickly. The game, which is adapted for mobile devices as well, boasts RTP of 99.00%.